This classic aluminum gate in Orange, CA was installed for a client who wanted a very sturdy entry gate for security purposes. 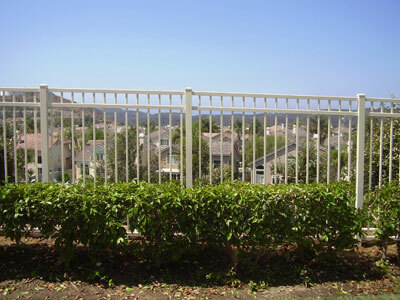 This aluminum two rail fence in Irvine, CA was installed by Country Estate Fence. This client chose an aluminum two rail fence to ensure that their pool area was safe from unwanted visitors. 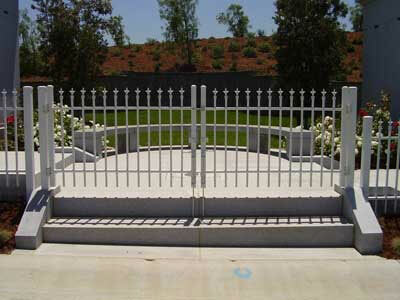 We installed this aluminum two rail spear top gate in La Habra, CA. 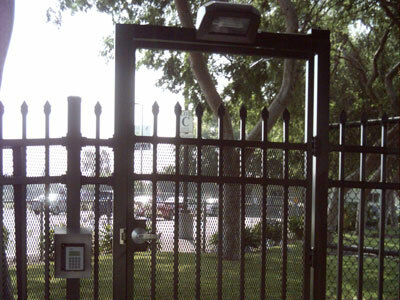 This aluminum gate installation features double doors. The client wanted to have the option of being able to open one door or both doors. 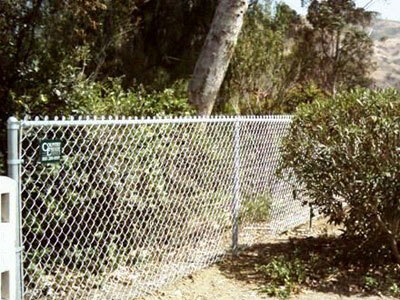 Country Estate Fence installed this steel chain link fence in Yorba Linda, CA for a client who wanted a basic fence to prevent small animals from entering their backyard and eating their plants. 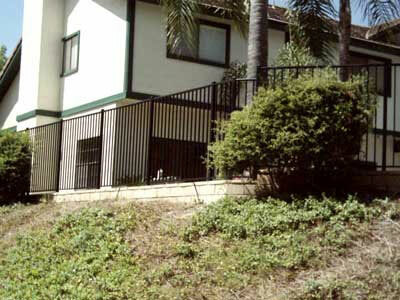 We installed this two rail aluminum fence in Lake Forest, CA. For this residential fence installation, the client wanted a simple black fence to go on top of their existing block wall. They wanted something simple but strong enough to make sure that no one would accidentally fall down the hill. 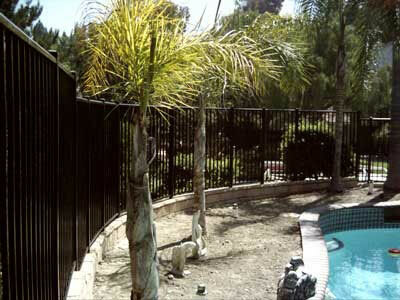 Country Estate Fence installed this majestic aluminum fence in Aliso Viejo, CA. This client needed a simple fence to surround their property. Their home is located on top of a hill, so they wanted to make sure their children would be safe when playing in their backyard. 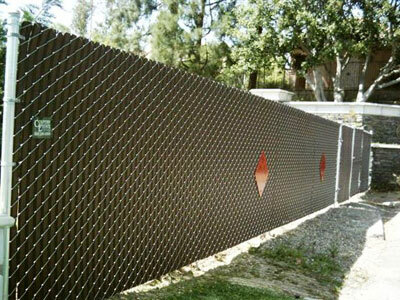 We installed this steel chain link fence in Yorba Linda, CA. The client wanted an affordable fence that would increase their property's privacy, so they chose a chain link fence with slats to prevent people from seeing into their yard. 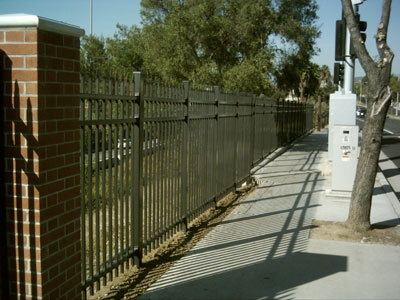 This classic aluminum fence installation in Buena Park, CA features points at the top to prevent trespassing. Our client also decided on black aluminum to match the brick pillars.